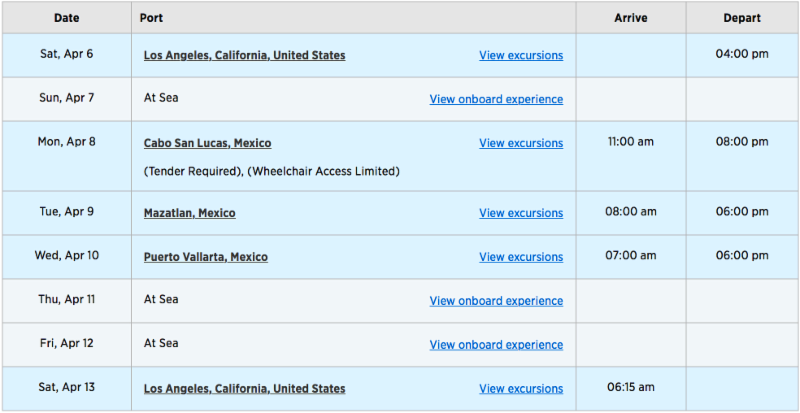 🚢CRUISE 100+ Singles to the Mexican Riviera! GO with us on a fun singles group cruise. Cruise with 100+ singles to the Mexican Riviera from April 6-13, 2019 on the new Royal Princess ship. 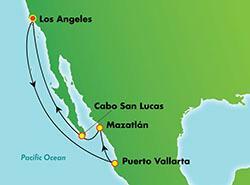 We're sailing to 3 sunny destinations; Mazatlan, Cabo San Lucas, and Puerto Vallarta. You'll be joining over 100 people on this fun singles group cruise. We offer roommate matching and have several people looking for roommates. Or, room with a friend. THE CRUISE WILL SELL OUT! Call our travel agent now, Marilyn Vincent at (714) 402-8069 for the current rate and possibly lower rates for past guests. The cruise will sell out, so please don't wait! If you're single, this is the cruise to book with us. We offer fun opportunities with private parties, dance lessons taught by our own dance instructor, and fun daily activities with our Single+Passion group. We also offer morning group time to grow in our relationship with God. Scroll down to see more about our speakers and dance instructor on the cruise. 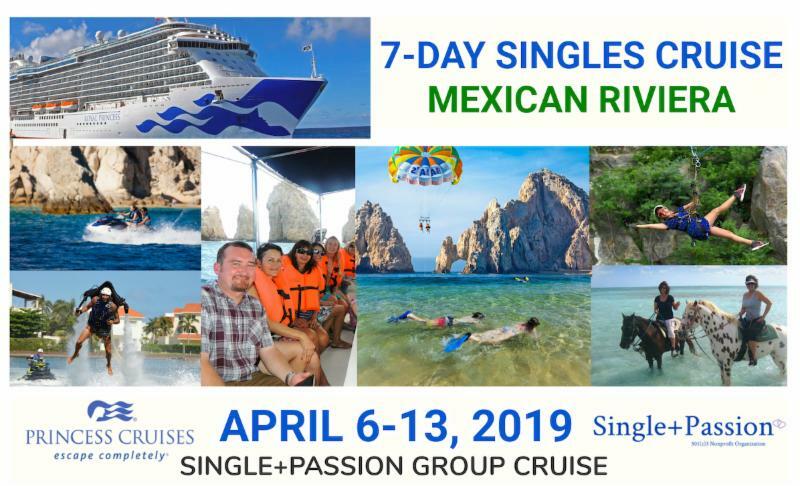 Come join a fun group of 100+ Christian Singles as we sail to warm beaches and explore the Mexican Riviera together. This is a non-denominational singles group cruise. All singles welcome. Couples welcome. BOOK YOUR SPOT BEFORE IT SELLS OUT! You must book with us to attend this group cruise -- no exceptions. All pricing is per person. Contact our travel agent for current prices and availability. Prices based on double occupancy with rates as of February 15, 2019*. Single occupancy at double the rate. Full payment required at the time of booking (don't wait for the cruise to sell out). Add $120 for taxes, fees and port expenses. Plus $25 per person for administrative, speaker and musical guest charges. Marilyn Vincent and call (714) 402-8069 or email allthebestcruises@outlook.com with your legal information and signup for the Single+Passion group cruise. 2. If you've NEVER SAILED with Princess Cruises before, complete #3 and receive $25 in onboard spending credit. 3. Complete cruise registration, click here . ROOMMATE MATCHING, contact Marilyn Vincent at 714-402-8069 or email her at allthebestcruises@outlook.com. We do not offer co-ed cabins unless married. Dating and married couples welcome. You must book with our travel agent to attend this group cruise. Learn more about the ROYAL PRINCESS cruise , click here for the YouTube video . The largest, newest and elegant ship in the Princess cruise line with a $15.9 million refurbishment in Dec. 2018. Sailing on the West Coast for the first time in 2019. Join us for a fun Single+Passion Group Cruise. We will offer morning group time and group activities daily. Our cruise theme "Unsinkable Love" will encourage you in your relationship with God. 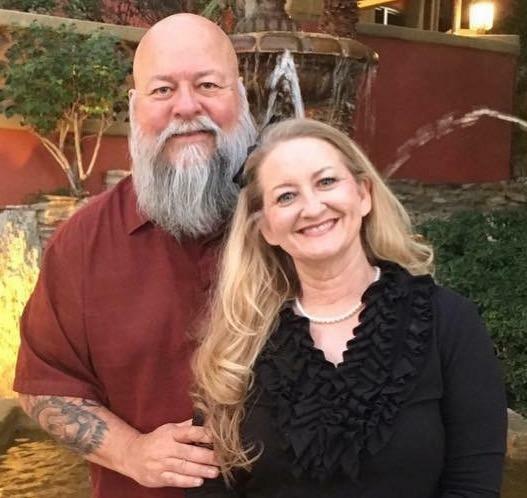 Jim & Karin Blythe will be speaking and leading worship on the cruise for our morning group times. Jim & Karin are pastors with a home church in Tennessee. Karin is a professional speaker, comedian, pastor and children’s book author. Karin teaches the Bible in a practical and relevant way with humor. 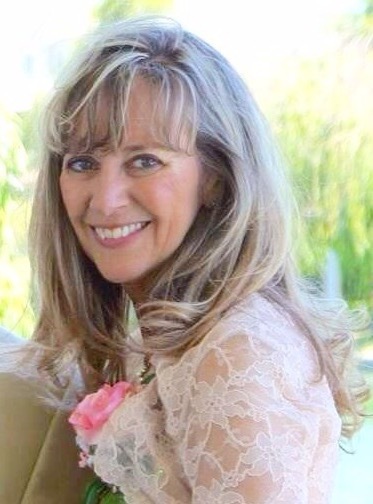 She speaks at singles retreats and conferences, women's retreats and special events with topics that singles can relate to offering encouragement and hope. Barbie Foster will be our group cruise dance instructor. Barbie will be teaching dance lessons on the days that we sail. She is well-liked in the singles community teaching on cruises often and at singles dances. Barbie teaches a variety of dance lessons with men rotating from partner to partner. Even if you have no dance experience or two-left feet, you'll find it fun and easy to learn in a fun group setting on the cruise.